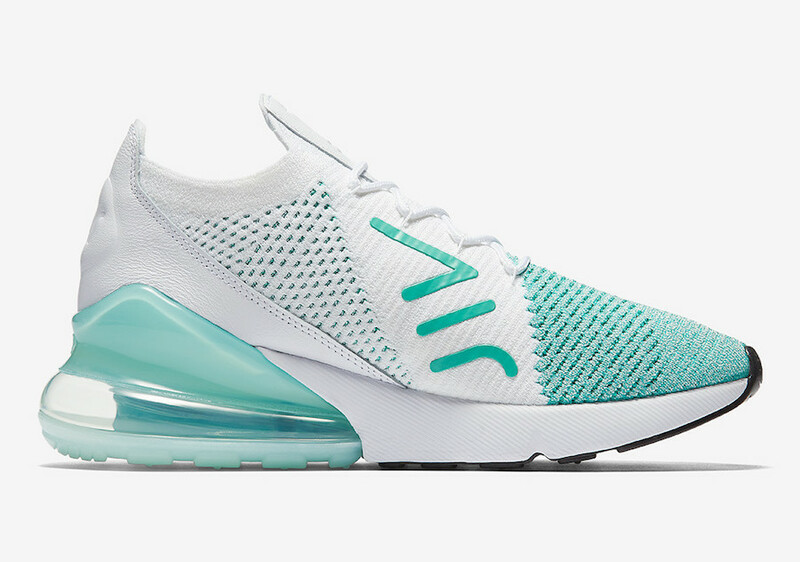 Nike Air Max 270 Flyknit "Igloo"
Nike’s latest iteration of the Air Max 270 gets a Flyknit makeover and new color ways for Spring/Summer 2018. 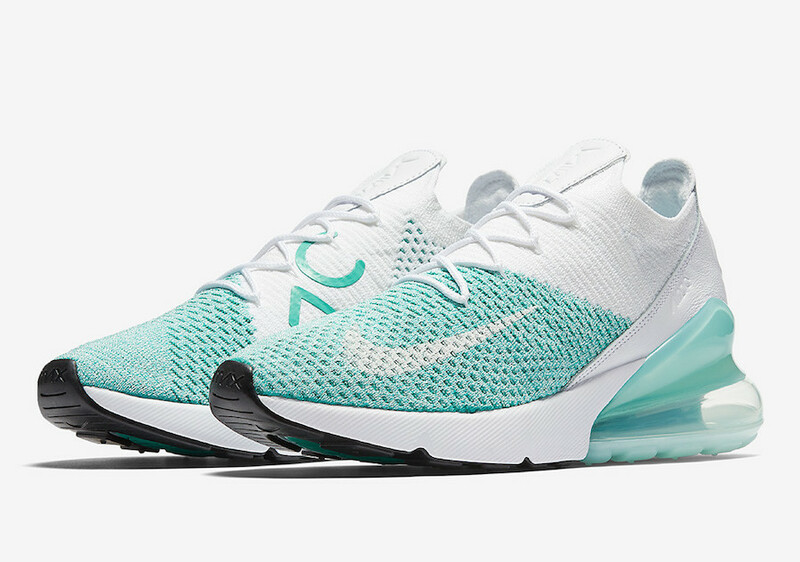 This Nike Air Max 270 Flyknit comes in an Igloo White and Clear Emerald color scheme. 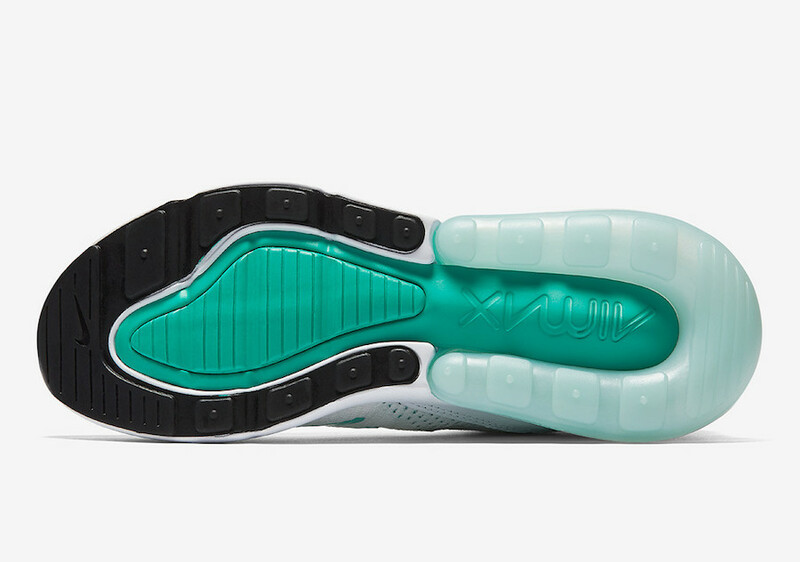 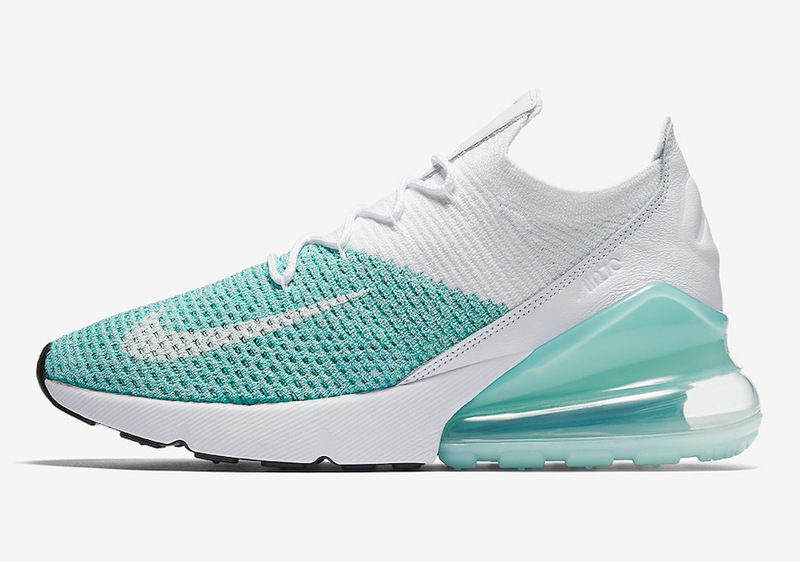 Constructed of a full Flyknit upper, sock-like ankle collar, complimentary Clear Emerald highlights are seen the Flyknit around the toe area, the “Air 270” branding and the 270 Air Max unit. 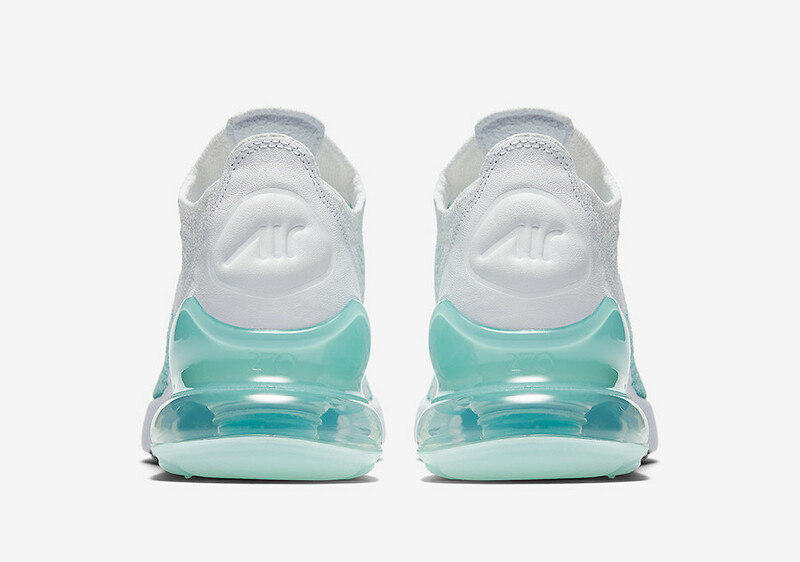 The Nike Air Max 270 Flyknit “Igloo” is set to release in women’s sizing on April 12th at select retailers and Nike.com with the retail price tag of $170 USD.